Read two whole books since my last update, Levels of Life by Julian Barnes which is a memoir about his grief at the loss of his wife which is very moving; and The Library of Unrequited Love, a very short first person narrative and the second book I’ve read today which has been translated from a French original. The Book God has intimated strongly that it’s time for dinner so I shall be taking a longish break from reading but really pleased with progress so far! I’m impressed you’ve already read 4 books. Enjoy your dinner & rest your eyes a few before you get back at it. I’m here to cheer. 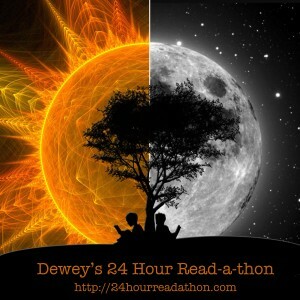 Four books is a terrific read-a-thon! Have a great break.